The ruling All Progressives Congress (APC), yesterday, received bashing from the Peoples Democratic Party (PDP) over its claim that former President, Goodluck Jonathan, didn’t perform well in office. 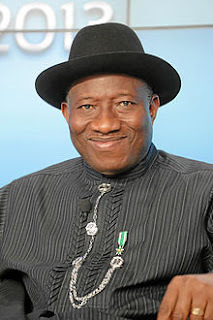 Jonathan, last week, at the PDP Special ‎Non-Elective Convention, in Abuja, said their party had performed well in the area of economy and other sectors during his administration. But the presidency and some key leaders of the APC dispelled the claim, saying ‎Jonathan “ruined” Nigeria. ‎However, the PDP, in a statement by its National Publicity Secretary, Prince Dayo Adeyeye, yesterday, said there were no indices anywhere that the administration of President Muhammadu ‎Buhari could be measured as performing better than any of the PDP administrations‎ since 1999. ‎The PDP said APC had so far failed in all fronts despite controlling the executive arm of government and controlling the majority in the National Assembly. “The professional propagandists of the APC will realise too late that blaming the ills of the country on past administrations while doing nothing about them for four clear years will not save them on the day of judgement. And the day of reckoning is very much at hand. “It is shameful and embarrassing that having been in power for ‎two and a half years, the ruling party is unable to point to cogent, ‎convincing and data-driven achievements. “As at May 29, 2015, Nigeria was the largest economy in Africa valued at over $500bn. A combination of the incoherent policies and incompetence of the ruling party have significantly shrunk the size of the Nigerian economy since the inception of the current administration. “It is not a coincidence that the last time Nigerians had to deal with ‎the current level of widespread hunger and lack was when President ‎Muhammadu Buhari held sway as Head of State between 1984 and 1985,” the PDP said.